The choice to educate your children at home is not an easy one. It is definitely a lifestyle choice as much as an educational choice. 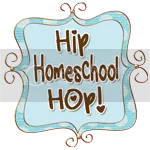 Homeschooling families are quick to recount the positive aspects of schooling at home, but as with any major life decision, there are some challenges to consider as well.